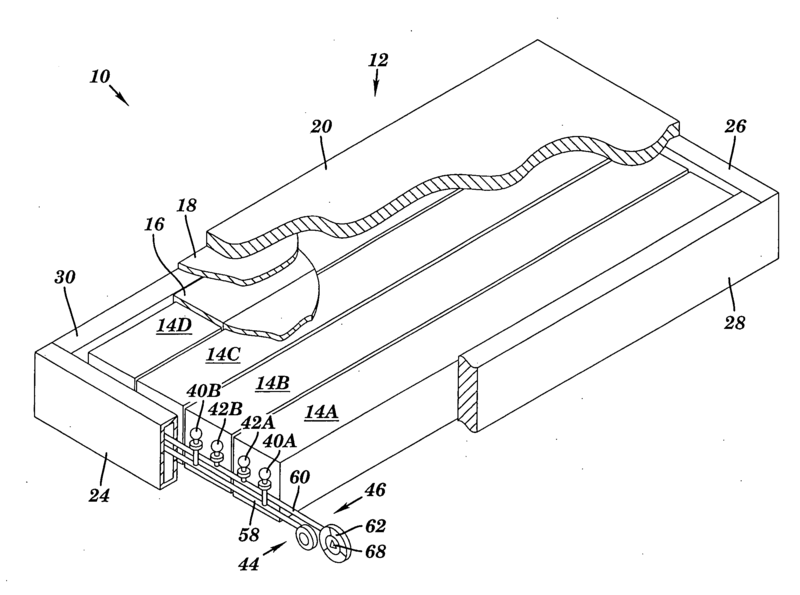 Description: A cushioning device for a body support such as a mattress, seat, sofa, or the like where support is obtained from a fluid in fluid cells having a spring bias. The cushioning device is self-inflating, self-adjusting, and provides a low interface pressure under the entire contact surface of a patient. Shear force scraping damage is prevented by a sleeve apparatus. A support system apparatus provides separately adjustable pressure support zones. For physical therapy, an alternating pressure system provides alternating lifting and lowering pressure zones under a patient.